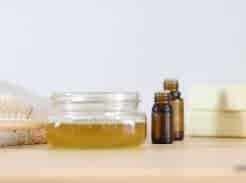 LEARN HOW TO MAKE AN ALL NATURAL DIY LIP BALM WITH ESSENTIAL OILS. WITH A FREE PRINTABLE LABEL. Ya’ll are going to love this one, I know I do! I make a batch of this lip balm every year when the days get cooler and chap lips becomes a problem. 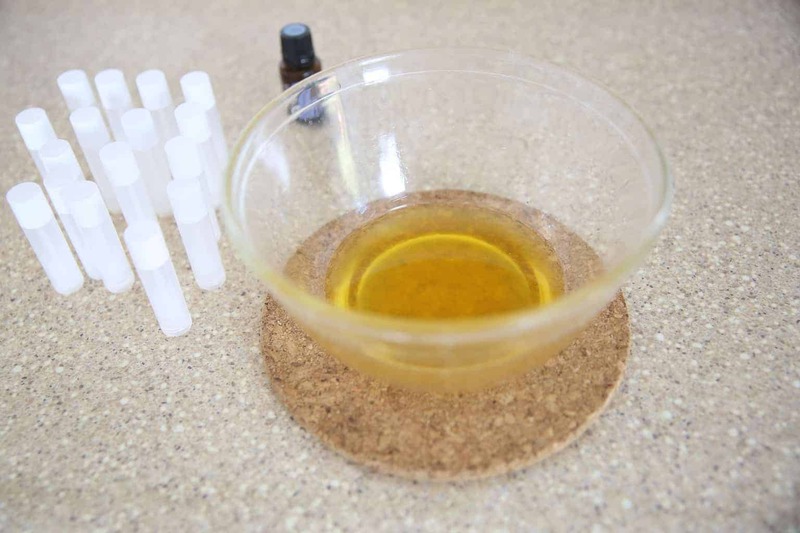 This DIY lip balm is all natural, simple to make, and extremely cost efficient. The recipe will make about 12 tubes of lip balm, lasting you all winter long! When I read the ingredients of regular lip balm I went for an all natural brand. I bought an organic tube at a local whole foods and it was $4. Most likely I lost it or my kids stuck their finger in it and I had to buy another one. 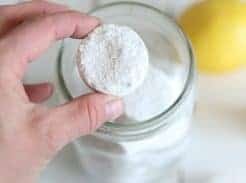 Like most things in my home I decided to DIY it and came up with an awesome recipe I am excited to share with you. Place all the ingredients (expect the essential oils) in a double boiler. If you don’t have a double boiler you can make one by putting a glass bowl over a pot of boiling water. Melt all the ingredients together, stirring often. 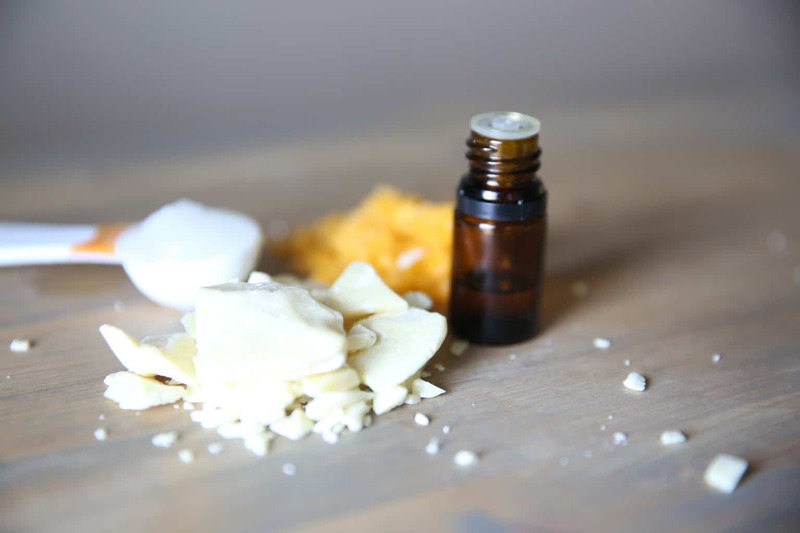 Once all the ingredients are melted together, remove from the heat, add your essential oils, and mix well. Work fast as the mixture will harden quickly after being removed from the heat. With a small funnel, pipette, or old medicine dropper fill the lip balm containers with the mixture. Let tubes sit at room temperature for a few hours until cooled and completely hardened before capping them. 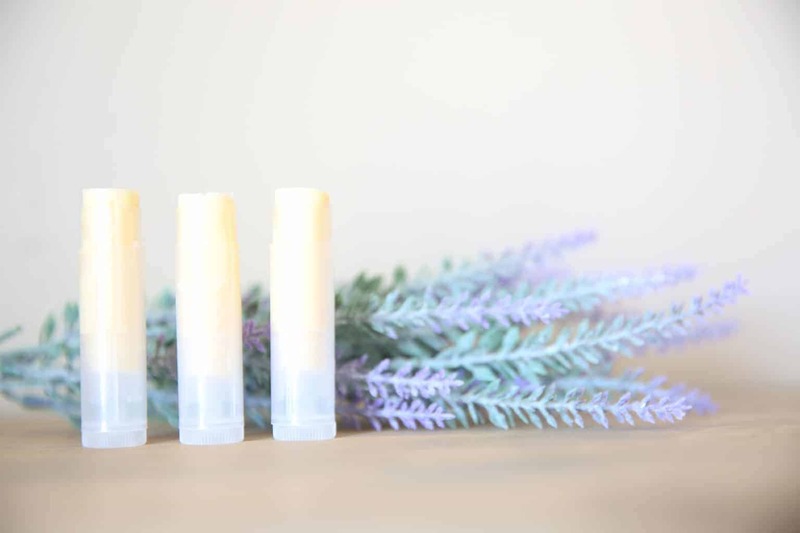 You can use several essential oils in your lip balm depending on the flavor and scent you prefer. 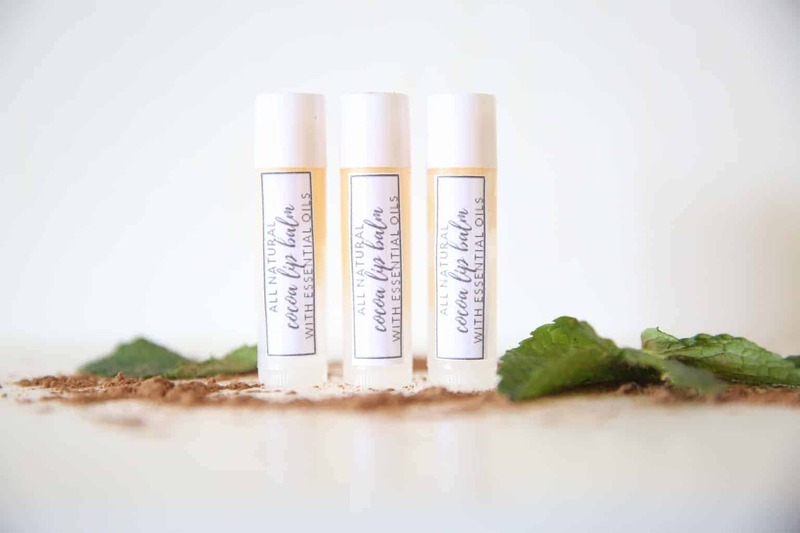 Use mint essential oils for a cooling and soothing effect for chap lips. WARNING: If you use any citrus essential oils in your lip balm be sure to keep out of the sun. Citrus essential oils can cause a phototoxic reaction typically causing an exaggerated sunburn. Lavender- Great for the skin and smells amazing. Peppermint- The cooling effect of peppermint feels really good on chapped lips. Spearmint- Same cooling effect as peppermint with a sweeter scent. Roman Chamomile- Love this delicate floral oil’s scent and it has many benefits for skin. Wild Orange- Orange and chocolate…need I say more? Lemon- This oil is very uplifting, refreshing, and cleansing making it perfect for your lip balm. Rose- Rose oil is amazing for any skin imperfection and of course, it smells lovely. Frankincense- Known for its extensive healthy benefits, frankincense has been used in cosmetics since the beginning of time. Rosemary- Pairs beautifully with lavender and the other ingredients in the lip balm. 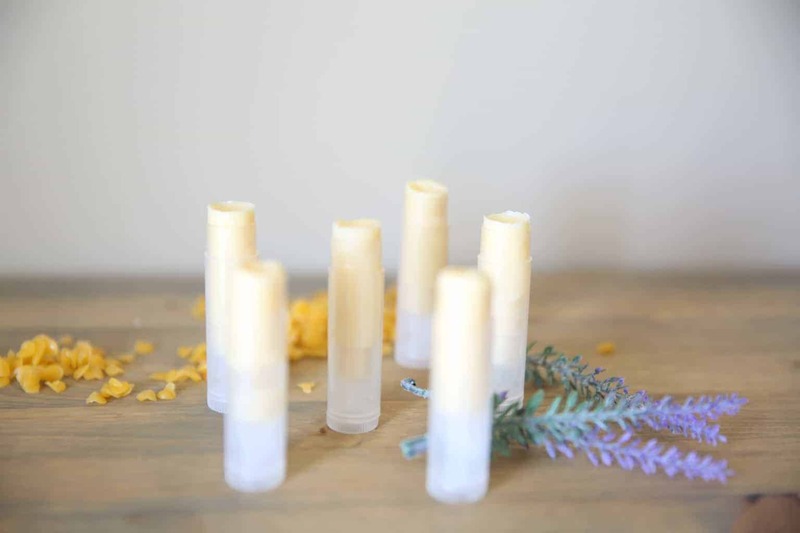 BEESWAX– With its antiviral, anti-inflammatory, and antibacterial properties this ingredient is essential in fighting against chapped lips or skin. It forms a protective wall by sealing in moisture in the skin without clogging up the pores. COCOA BUTTER– Cocoa butter is the fat that comes from cocoa beans and it smells absolutely delicious, in my opinion. This might be why my kids like to eat their lip balm. HA! Cocoa butter naturally moisturizing the skin and heals dry chapped skin. COCONUT OIL– The hype around coconut oil these days is for good reason. You can use it in the kitchen, on your skin, in your hair, and the list goes on. Coconut oil is a natural antibacterial, anti-fungal, and an excellent moisturizer for your skin and lips. 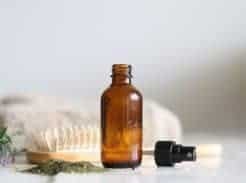 ESSENTIAL OILS– Several essentials oils can do wonders for skin imperfections and have healing properties. I personally like using peppermint in my chapstick because of the cooling effect it has. Making it very soothing for dry chap lips. Lavender is another one of my personal favorites because it smells amazing with the cocoa butter. PERTROLEUM JELLY- Pertroleum jelly can make your skin or lips feel moisturized and hydrated, however it is suffocating your pores. Studies have shown it to be a carcinogen and a toxic ingredient. PARABENS-Parabans are a group of compounds used as a preservative in most cosmetic and personal products. 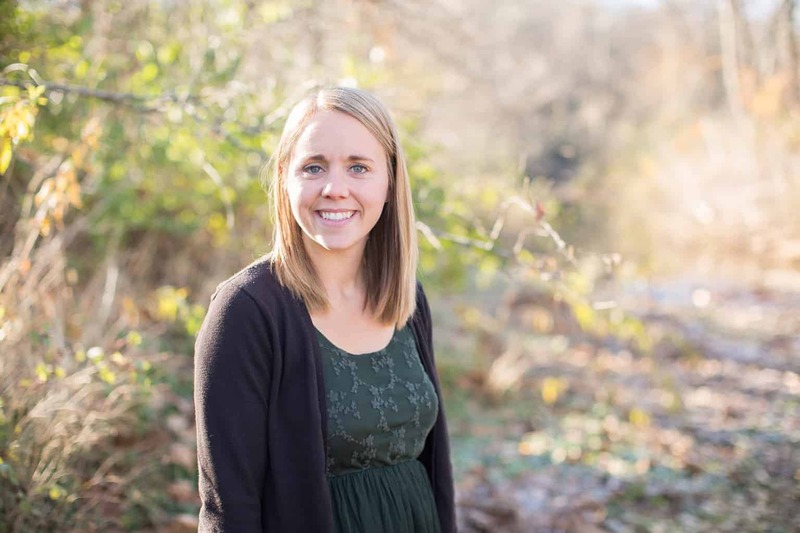 They mimic estrogen and cause hormone imbalances. Parabans are found in 99% of breast cancer tumors! FRAGRANCE- Fragrances can cause allergic reactions, contain hormone disturbers, carcinogens, and linked to damage sperm. Use your natural essential oils instead. LANOLIN– Lanolin is a waxy substance that coats a sheep’s fur, keeping it moist and protecting its skin. If you aren’t buying organic this ingredients is loaded with pesticides and chemicals that are sprayed on the sheeps fur to protect them against bugs. ARTIFICIAL DYES- Artificial dyes are known to cause allergic reactions. They have been linked to cancer tumors and hyperactivity in children. This recipe is easy to whip up, very cheap, and made with all natural ingredients. My kids are known for putting everything in their mouths, therefore I try to keep toxic products out of my home. It is important to have an all natural lip balm becuse this is applied so close to the mouth and you put it directly on the skin. Your skin is your largest organ and what you put on it will absorb into your bloodstream. 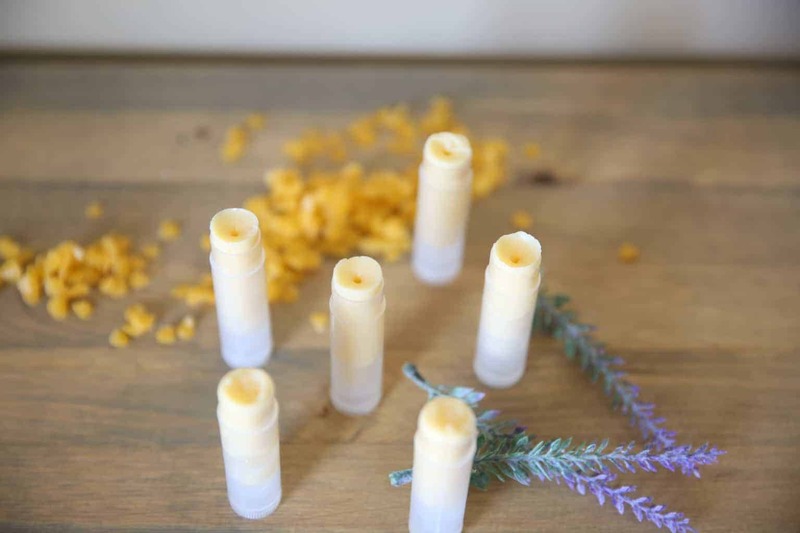 Have you ever made your own lip balm with essential oils? What oils were your favorite?